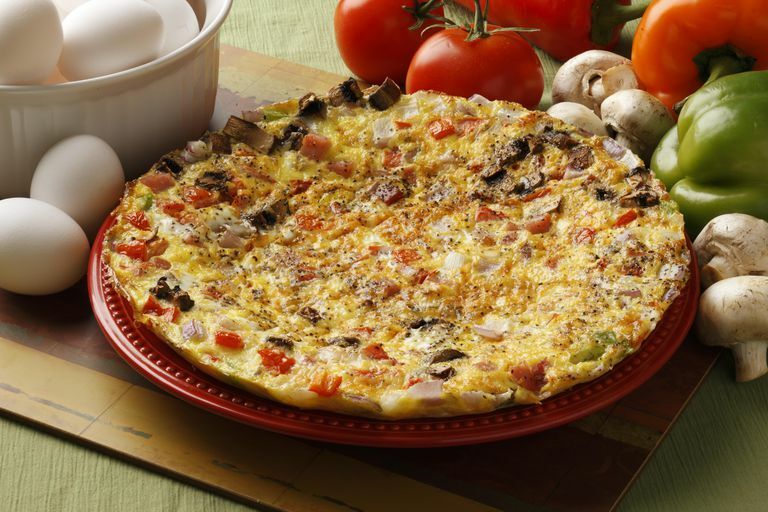 This frittata can be for any meal. I like to make it for a quick dinner and eat the leftovers for breakfast and/or lunch. It can be made with any kind of pizza fixings you want. 1. Heat oil in large nonstick ovenproof skillet. 2. Saute green peppers, mushrooms, and pepperoni for about 5 minutes. Add garlic and cook another minute. Add oregano, salt, and pepper. Stir well. 3. Whisk eggs and liquid together. Add more salt and pepper. Add mixture to pan. 4. Mix egg mixture as it cooks, so cooked "curds" are distributed throughout. In about 2-3 minutes, it should have enough "body" to float some pasta sauce on the top. Do so, and then add the cheese. 5. Put the frittata under the broiler to brown the top. By this point, the eggs should be cooked through. Check. If they aren't, turn the oven down to 300 and give it a couple of minutes more.